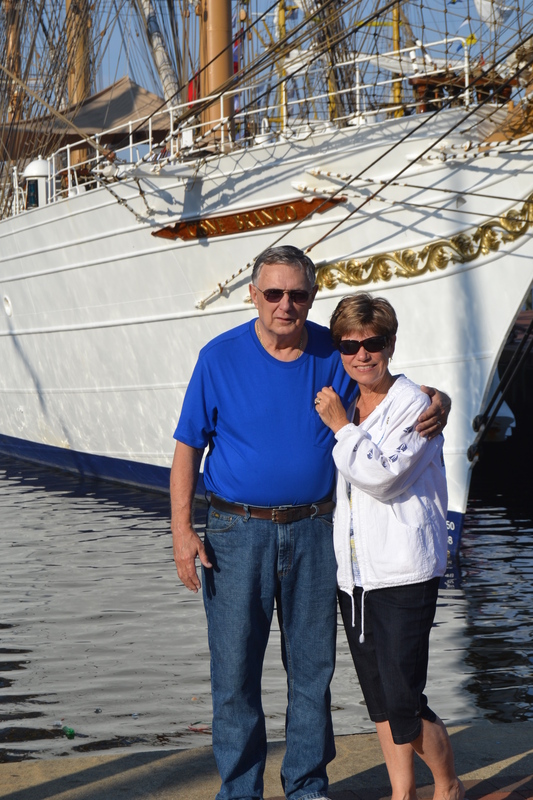 Waterside is located on the Elizabeth River in Norfolk, and is about an hour from us. It was built in the early 1990’s, and consists mostly of shops and restaurants. 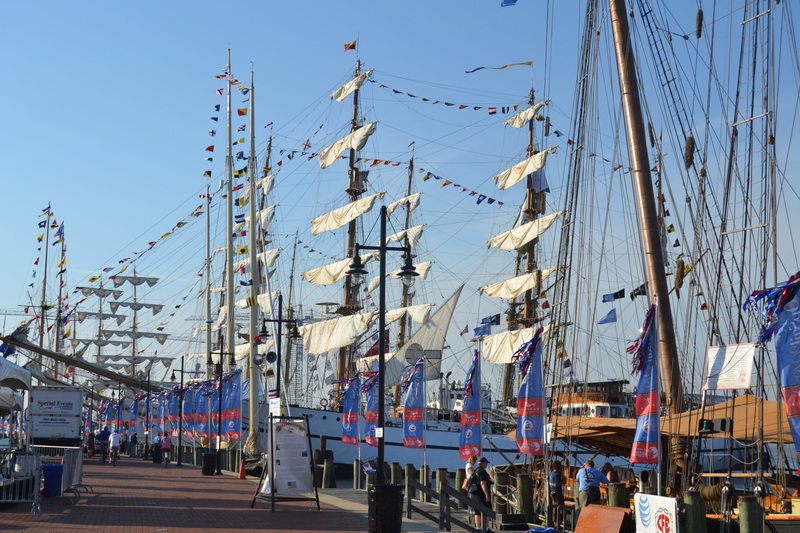 Each June, it is the site of Harborfest, and the Opsail (Operation Sail) events as they occur. 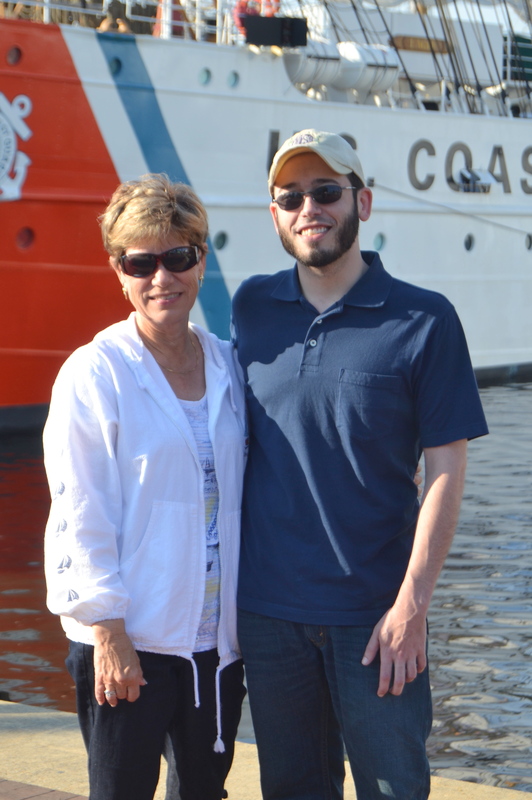 This weekend was Harborfest, as well as Opsail 2012, and the weather couldn’t have been more perfect. Motor Man, Marshall and I decided to visit early Sunday morning. 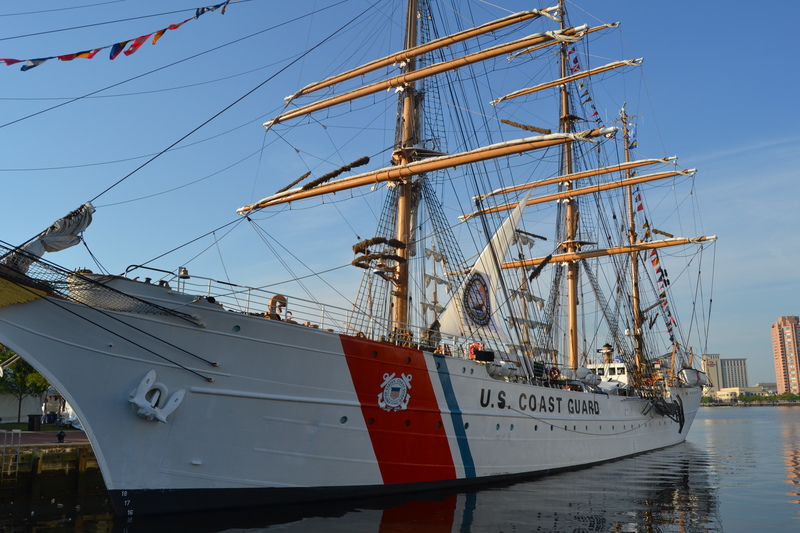 The Coast Guard Cutter, Eagle, has been host to all five previous Opsail events (1964, 1976, 1986, 1992, and 2000). The Opsail of 2000 was the first one I really knew about. I was surprised, when researching it for this post, to learn there had been so many, dating back that far. 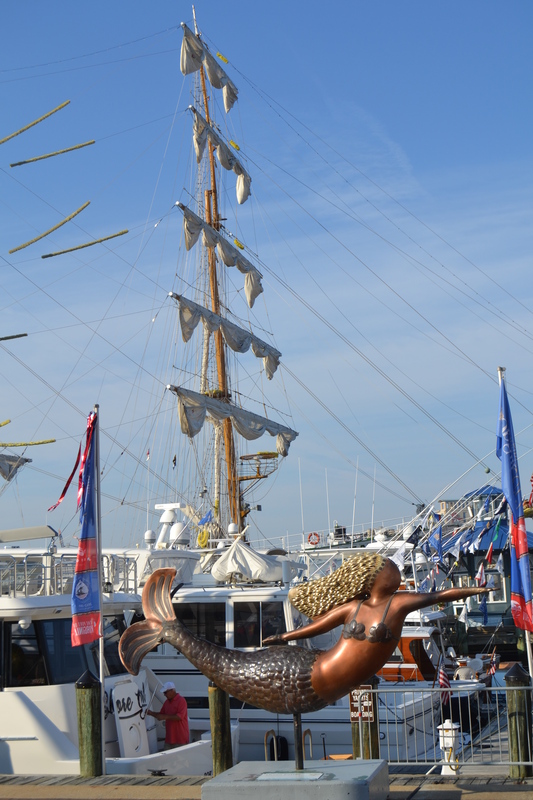 Tall ships, representing many countries, come together during Opsail. 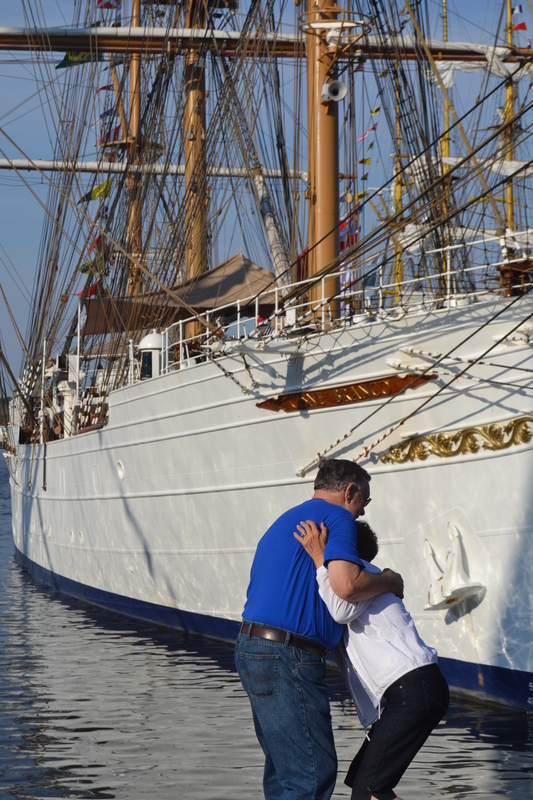 The event ends with the Parade of Sail in New York on July 4. 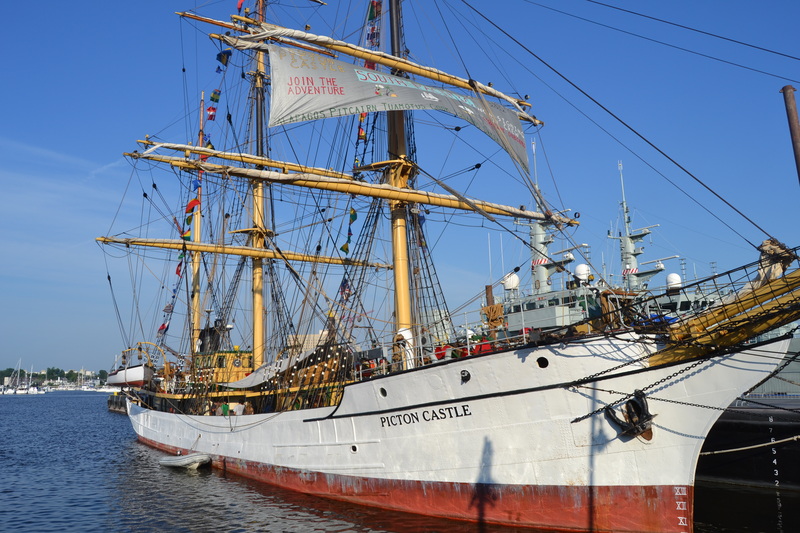 This is the Picton Castle, whose home port is the Cook Islands. Motor Man took this of Marshall and me with the Eagle in the background. 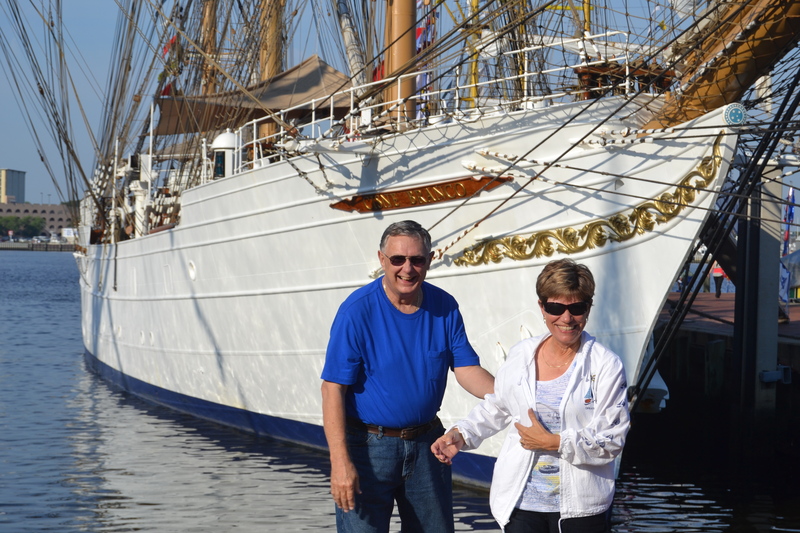 And Marshall took some photos of Motor Man and me in front of the Brazilian tall ship Cisne Branco. This one was taken when Motor Man was playing nice. And when he was forgiven. It was a fun, beautiful morning in the “Mermaid City”.